How to Create a Gorgeous Evening Eye Makeup. Are you looking for a glamorous evening makeup that will make you stand out from the crowd on the evening party? Read our tips and learn how to create a gorgeous evening eye makeup that will surely gain some admiring looks. Daytime makeup is generally more natural and quite minimal. Usually you put on a touch of foundation, dust a little powder on your face, and apply a simple eye makeup and a neutral gloss. However, when it comes to attending a special occasion or an evening party you want to look your best. Evening makeup is more daring and glamorous, offering you the freedom to play with your imagination and use bolder, shimmery tones and exciting lipstick colors. A perfect evening look calls for an emphatic, exciting eye makeup that gives maximum definition and a deep, dramatic look to your eyes. Don’t be afraid to experiment with a gorgeous evening look and get ready to show off your beauty on the next evening party. If you want to achieve a flawless evening look, make sure that your face is cleansed properly and you have applied a moisturizer as well. This is very important in order to create a soft surface and perfect canvas for a glamorous makeup. If you apply your makeup on a dry, flaky skin, it will completely destroy your look, leaving you with unaesthetic spots on your face. As a first step, apply a thin coat of eye makeup primer on your eyelids, which will guarantee a long lasting finish and a perfect base for your eye shadow. Blend the primer evenly into your eyelids and then apply a few spot of under eye concealer on the area around your eyes. Pat it with your fingers, until the product disappears. In order to create a smooth, natural look, always shop for a product that is as close to your natural skin tone as possible. Concealer will help you get rid of signs of tiredness such as under eye bags, dark circles and redness, creating a perfect base for the makeup. Now you can proceed with applying your favorite eye shadow color to accentuate your eyes and give them a really feminine, shimmery look. Opt for a three-toned eye shadow and work it from the lids towards the brow. Start with the light color, continue with the medium across your lid and finish with a dark shade in the crease to give your eyes a deeper, sensual look. Dark eye shadows should always be applied in the eyelid crease and make sure you blend them well. An eye shadow trio is a great choice because shades will fabulously blend into each other, creating a glamorous result. As a next step, follow with using eyeliner to make your eyes even more emphatic. Draw the line as close to the lash line as possible, following the natural curve of your eyes. Start from the inner corner and thicken the line as you work your way from the middle towards the outer corner of your eye. Draw a line on the bottom eyelid as well, but only from the middle of the eye and going outwards. In order to avoid wearing a prominent line, smudge the bottom line carefully using a makeup applicator. This way you can achieve a softer, smokier effect. 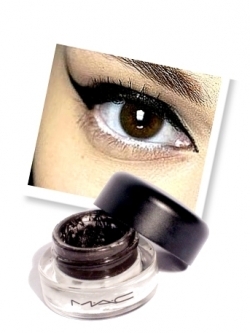 If you want to obtain an edgier, bolder look, you can opt fot a liquid eyeliner. 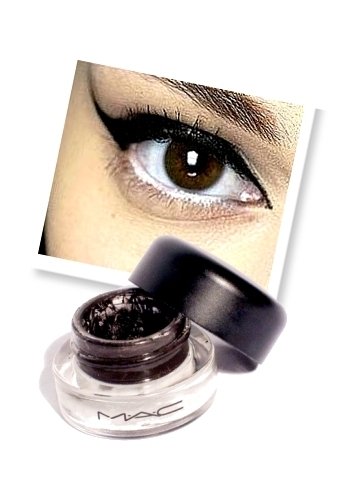 A qreat eyeliner will help you achieve a deep, dramatic, sensual look. If you want to create a stunning evening makeup, you can add a touch of extra glam to your look by using a gold or shimmery pink highlighter in the inner corner of your eyes. Apply the highlighter in a V-form, following the inner part of your eye from the bottom upwards, blending the color with the applicator. 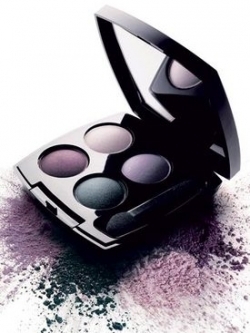 Spicing up your eye makeup with a wonderful highlighting color will make your eyes pop and look brighter. Proceed similarly in order to highlight your brows. Use the same highlighter and dab it on the brow bone, starting from the middle and working it outwards. As a finishing touch curl your eyelashes with the eyelash curler and apply volumising mascara on both the upper and lower eyelashes. These two steps are extremely important for a glamorous evening makeup, since they create gorgeous lashes and give maximum definition to your eyes. Now that your stunning evening makeup is done, get ready to show it off on the next evening party and enjoy your new, glamorous look.